If we don't want tents, we could probably provide something nicer. I've been thinking a lot about homelessness lately. I was unemployed for awhile and started to calculate how long it would take for my life to capsize. Stacy and Angela both work with the homeless, so I sat them down one day to get the whole picture when it comes to homeless shelters in Sacramento. Here's what I learned: There aren't many shelter beds in Sacramento. Loaves and Fishes, the historical center of homeless services in Sacramento, doesn't have an overnight shelter. They serve meals and provide other services. There are 13 beds for single women with mental health issues in a tiny building called "Sister Noras". Loaves and Fishes also has a dayshelter for women and children. It is called "Maryhouse". They have beds and places to rest and recover, but it isn't an overnight facility. For men, they have friendship park, a place to chill outside before and after meal services, from 7 am -2:35pm. The cream of the crop homeless shelter is provided by Family Promise. This is a system of churches which feed and house four families in a rotating group of churches around Sacramento. This system provides a lot of service, and has been super effective at helping families get into permenant housed situations. For youth, Wind Services can help a few people. They are located in downtown Sacramento. I believe they have a capacity to help 12 young people with emergency shelter each night. A large-ish shelter for men is the Union Gospel Mission, which has beds for about 70 men, and will feed homeless men after they attend a church service. Volunteers of America is an emergency shelter for families located north of downtown, providing shelter for about 80 men, women and children. When homeless people in Sacramento were counted last year, the homeless population was found to include 2,650 people. The situation I'm trying to illustrate is that there isn't a big homeless shelter in Sacramento, and the cluster of small ones aren't enough to provide emergency indoor sleeping facilities to all of the homeless people in Sacramento. There just isn't nearly enough room available. Should we make a giant shelter? It is easier (and cheaper) to take care of a bunch of people at a single site. It can have one social services helper, one teacher, one security guard, one cook, etc. But the quick truth is that a giant shelter won't fit smoothly into any neighborhood. It is common for a community of housed people to reject an epicenter of homelessness in their area. A "tent city" is a common result of a large homeless population, and Sacramento has had many of them. I have heard that it is very hard to live in a tent because there is no way to stay clean. In addition to being pretty lousy housing, tents aren't attractive. Tarps and fabric deteriorate quickly outdoors. 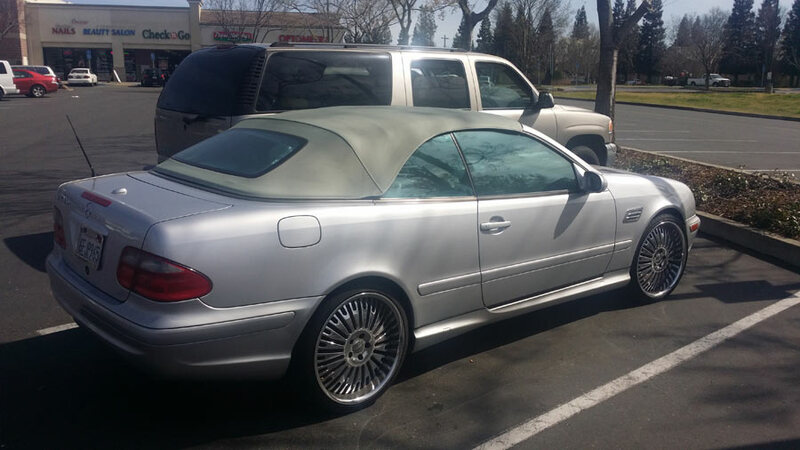 Even expensive convertables look terrible if their fabric tops are exposed to the sun and rain. Some homeless people are a mess, but they shouldn't be treated like criminals. Some are mentally ill, some are addicted to drugs and alcohol. Some are lazy or illiterate. Some have fatal diseases... but, most of them are just poor, with no family or friends or support. They are just poor, and they don't have a group, a community, to prop them up while they get on their feet. 2,650 homeless people represents a small population, maybe just half or one percent of the total population Sacramento. You might think that Sacramento is a destination for homeless transients across the country, lured by our mild winters and photogenic populations, but the majority of Sacramento homeless have lived here for more than five years. Poverty is a national problem, but Sacramento's homeless problem is Sacramento's problem. Homeless people need to use a bathroom. It is expensive to fill the jail with homeless people. It is super expensive to fill emergency rooms with homeless people. Shelters are best when they are near services like health care and government offices. It wouldn't be fair for one or two districts to become home for all of the city's homeless. I have some high-priced ideas about how to combat homelessness, and when I was dreaming about winning the lottery, I began to fill in these dreams with details. Add a room. Offer to fully re-imburse homeowners for house-expansions if they agree to house a homeless person for one year in that new room. This would provide a deep integration into the community, and permanently increase the value of the homeowners property and tax base. After I didn't win the lottery, my ambitions dropped to doing things that could happen with a smaller budget. 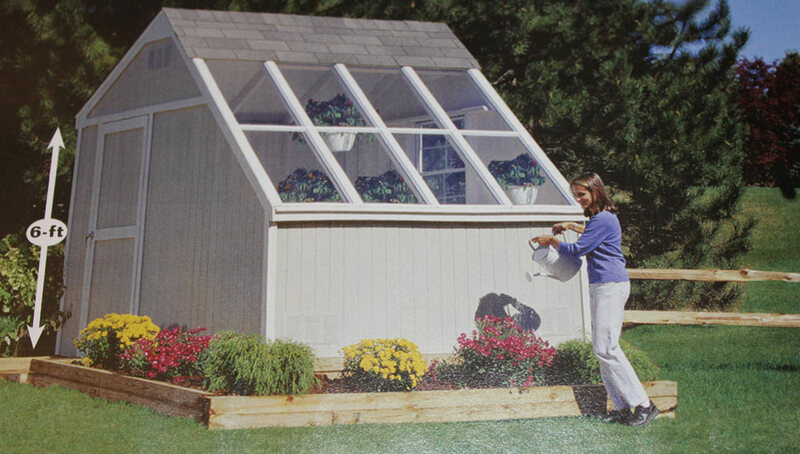 Add a shed. Similar to the "add a room" plan, this plan would pay for a backyard toolshed in the style of "Tuff Shed" or "Heartland" storage buildings. Any homeowner could get a free permanent storage shed in their backyard, provided they were willing to house a homeless person or couple there for four months. 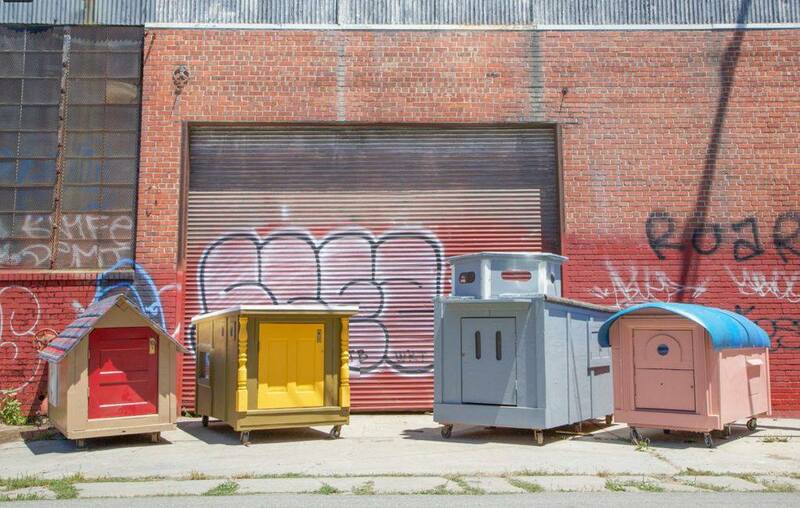 About the time I realized the potential of small backyard storage sheds, I found out another group was already cobbling together tiny homes for homeless nextdoor in Oakland, CA. Vanesa Dzevdetbegovic posted an event called Homeless Homes Pop-Up Build Shop at the NIMBY shop. By the time I saw the event listing, 317 volunteeers had signed up to help build houses from donated supplies and reclaimed lumber. They hadn't worked out a location for the tiny houses, but realized that by putting the shelter homes on wheels, they could avoid a lot of conflict with homeowners AND the Oakland city council. When the shelters are on wheels, they don't represent a permanent fixture. I love this idea. The little houses would be better looking and stronger than tents, and they could provide protection for a homeless person's property so that they don't have to cart around all of their posessions. And here's the trick, I think. If the houses are really cute, attractive little micro shelters, we could end up with something that the whole city is proud of. There is currently a multi-pronged approach to addressing homelessness in Sacramento, and I'm sure that should continue, but I would also like to help kick-off an effort to build many small, portable shelter homes and give them away to homeless people. How Much is Inside a Shopping Cart? What is the tallest building in your town?